We get questions all the time about creative as it relates to effective content creation – what type of media performs best for x, y, or z channel? Does my audience want to see more video or consume more white papers? When is it appropriate to point my prospects to a video vs. a white paper? The list goes on, but the bottom line remains the same – everyone wants results. But results require engagement and engagement requires attention. Oh, and you only have a few seconds until attention focuses elsewhere (we’re all goldfish). What types of media have you been deploying across which channels? Why? What has and hasn’t been performing well? What are your primary goals for engaging your audience in the future? How do these goals relate to strategic business objectives? To audience objectives? At R+M, one thing rings true – it doesn’t matter if it’s a B2C or a B2B communication, it’s all P2P. It’s people talking to people with emotions, biases, preferences and tendencies. And people with short attention spans. Throughout the rest of this blog, we’ll explore a few communications that capture attention. You may be familiar with the fast-food restaurant known for chicken that ran out of chicken. Their brilliant response still has the internet talking (in a good way). And it’s a great example of how even in moments of mishap, you have the opportunity to turn fans into loyalists and even attract a new wave of positive attention. Image Source: AdAge, creative by Mother London. How do I want my target audience to feel? What’s the best way to relate to them and help them feel this way (humor, humility, challenge, empathy)? What concepts communicate our single key point and what do we want our audience to feel? What are various paths of association we could explore? What channels/mediums could we use to effectively communicate this message? Who from our broader audience do we risk isolating? Are we comfortable with that risk if we can better reach our target audience? Take a look at the Deloitte ad below. What you can’t see from the image is that the call to action bounces when the user hovers over the ad. 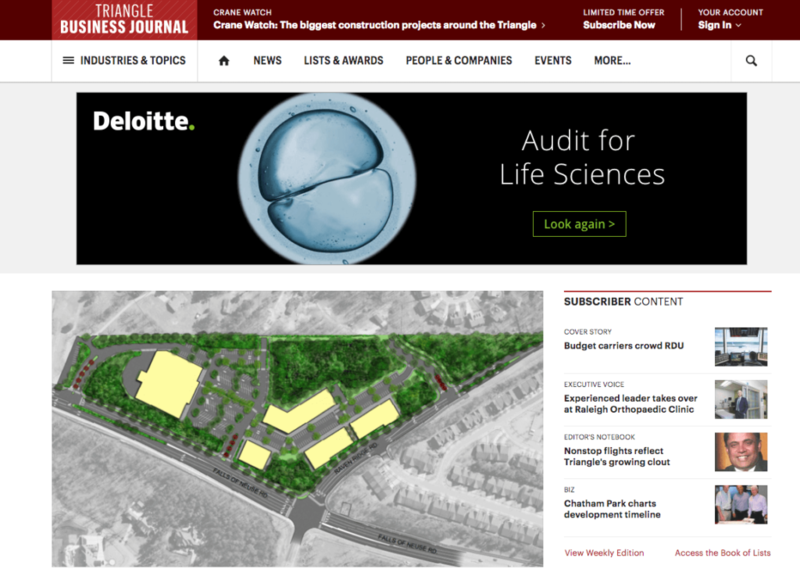 What you can see is that in the context of the Triangle Business Journal’s homepage full of content, the ad stands out for its simple color palette, focused copy and intriguing image, as well as the placement and size of the ad. We’re sticklers for the “simplify, simplify, simplify” model. An example of this is the work we did for one of our clients, Wilson Warehouse. They provide commercial storage solutions in the southern United States. If you Google “asset-based warehouse Baton Rouge,” you’ll see that they definitely stand out from the competition with their simple, yet emotionally focused “people first” differentiation. When it comes to video, animations or gifs, it pays to invest. 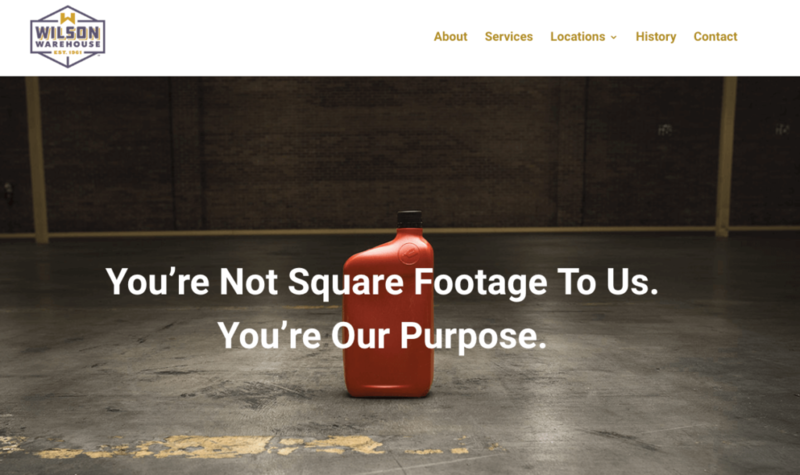 When you combine the power of words with a simple concept in the format of a video, animation or gif, you can have a really powerful piece of awareness content. We applied this technique to the Museum of Life and Science’s latest campaign and are seeing validation in Google Analytics, with every social interaction and most importantly, with each new family that experiences all of the goodness the Museum of Life and Science has to offer. We’ve also seen gifs work really well for certain email instances as well. Below is a recent example from Darling, a publication focused on female empowerment. This gif-embedded email is clear and to the point – it’s simply asking readers to watch one video in a series curated by influencers in their space. So put these fundamentals to work for you today. Use your words. Simplify, simplify, simplify. Add some interest with video. Or give us a call. If this counts as a landing page with video, we look forward to hearing from 80% of you ?